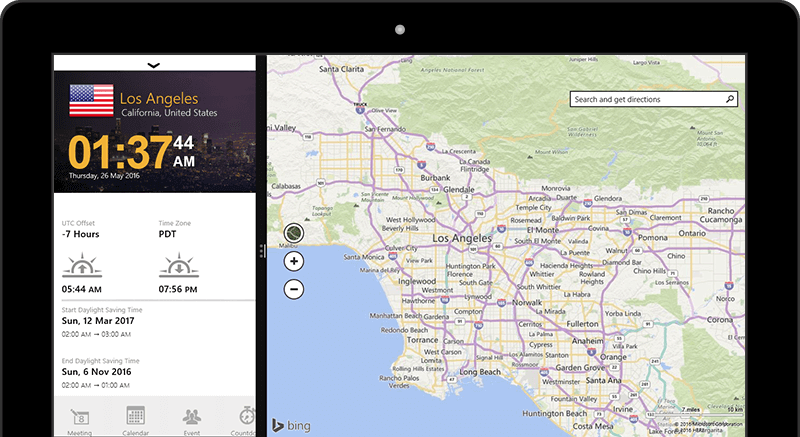 Want to know the time for any location in the world? Our World Clock App is the one place to go for all your world time needs. It's free! Enjoy the expertise and accuracy of the world's largest world time website. 5000+ Locations Worldwide. And counting. 24-hour and 12-hour (am/pm) clock. Display or hide seconds. 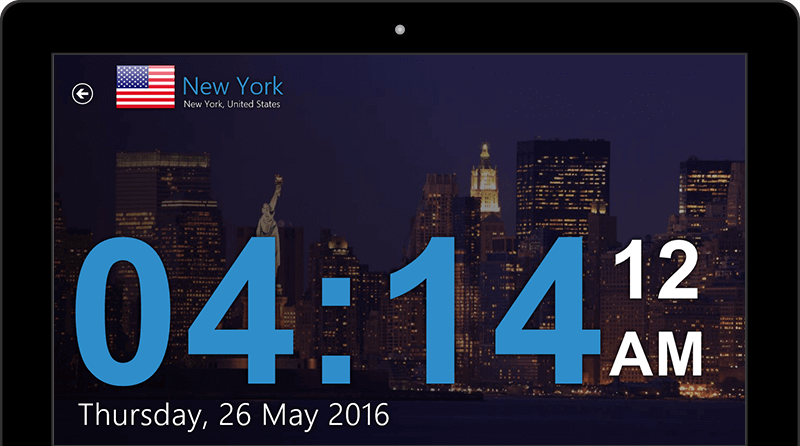 View a large clock showing the current local time in a city of your choice. Keep an eye on the current time while you work on something else. 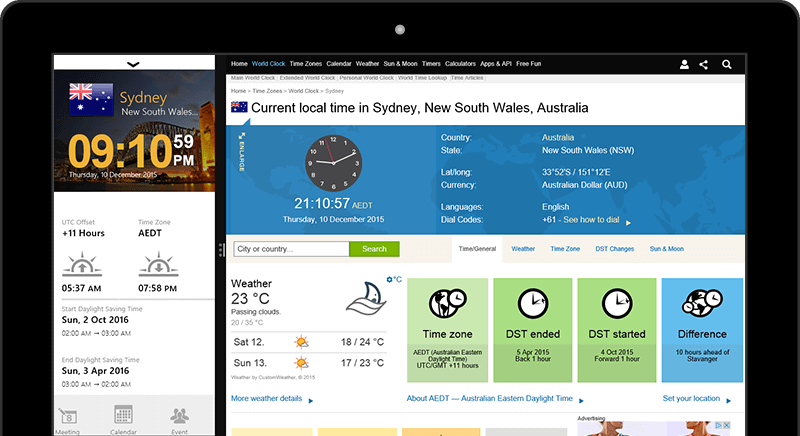 With the quick launch icons, many of timeanddate.com's online services are just a click away. 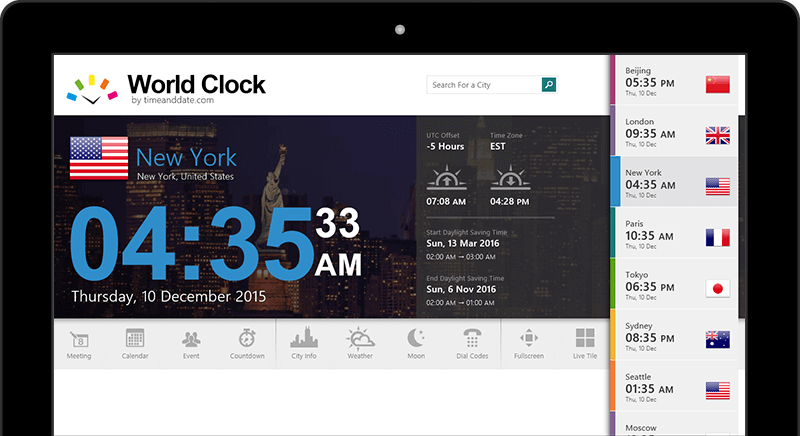 Get the World Clock App Now!